UPI published an opinion piece on Tuesday, December 18th, written by the former Vice President of the European Parliament, Alejo Vidal-Quadras. 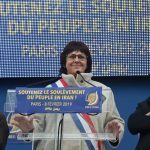 The article calls for a full investigation into the 1988 massacre carried out against the Iranian opposition by the clerical regime. It also urges the international community to take steps to bring those responsible within the regime to justice. 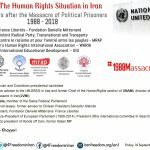 A recent report from Amnesty International, entitled “Blood Soaked Secrets- Why Iran’s 1988 Prison Massacres are Ongoing Crimes Against Humanity”, provided a damning assessment of the scale of the 1988 massacre and the role the mullahs have played in covering up the massacre since. Between July and September 1988, the Iranian regime arbitrarily executed more than 30,000 political prisoners. 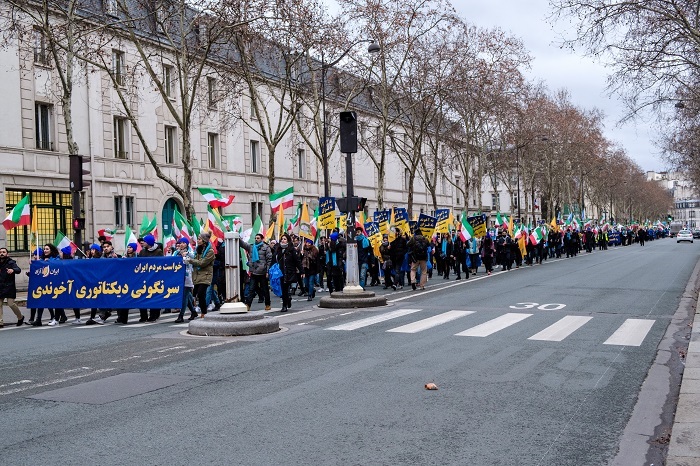 The vast majority were from the People’s Mujahedin Organisation of Iran (MEK), a pro-democracy group that opposes the regime in Iran and across the world. The orders for the barbaric and brutal murders came from the Supreme Leader Ruhollah Musavi Khomeini. Vidal-Quadras writes, “all throughout the country, political prisoners were taken to ‘death committees’ that would ask them about their political and religious loyalties. Those who manifested continuing loyalty to the PMOI [MEK]… were summarily executed and in most cases buried in anonymous mass graves”. The fact that many families were not informed of their loved one’s death, and to this day, many victims’ families do not know where their loved one was buried, makes the nature of the crimes ongoing. 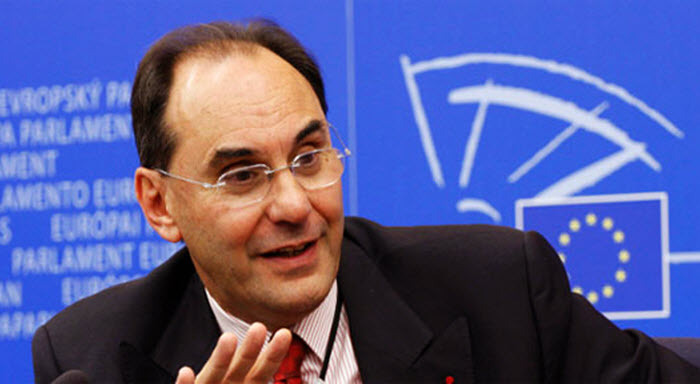 “Since 1988 the Iranian regime not only has harassed and attacked the families of the victims searching for justice but has denied that the massacre took place”, Vidal-Quadras writes. The Amnesty International report highlights the fact that some of the officials involved in the killings still occupy senior positions within the Iranian leadership today. The current Minister for Justice, Alireza Avaei, for example, was involved in the violent and brutal execution campaign. 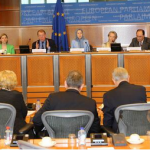 The report concluded that the Iranian regime had carried out forced disappearances, torture, murder, and extermination to such a degree that they amounted to crimes against humanity. Following the report, Vidal-Quadras concludes that the responsibility now lies with the international community to ensure the culprits are brought to justice. “As we very well know that the Islamic Republic’s institutions won’t ever guarantee a fair and thorough investigation”, he says, “we ask international bodies such as the United Nations and the International Criminal Court to ensure independent criminal investigations”. Vidal-Quadras concludes, “We, in Europe, know that bringing justice to the victims of a crime against humanity not only means justice for those affected but a lesson of history for all to remember”, adding, “we bring justice not only to close a case but also to remind us and the next generations that crimes against humanity cannot be under any circumstances left unpunished”. 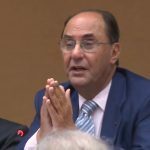 On September 14th, Dr. Alejo Vidal-Quadras gave a speech at a conference in Geneva, Switzerland commemorating the 30th anniversary of the 1988 execution of 30,000 political prisoners in Iran. The prisoners, who were mostly members or supporters of the MEK, were executed over the course of a single summer after refusing to renounce their support for the MEK. During the presidency of the so-called moderate Hassan Rouhani, more than 3,500 people been executed. The conference was attended by a group of human rights activists, politicians, and dignitaries who seek an independent investigation into the crimes against humanity. 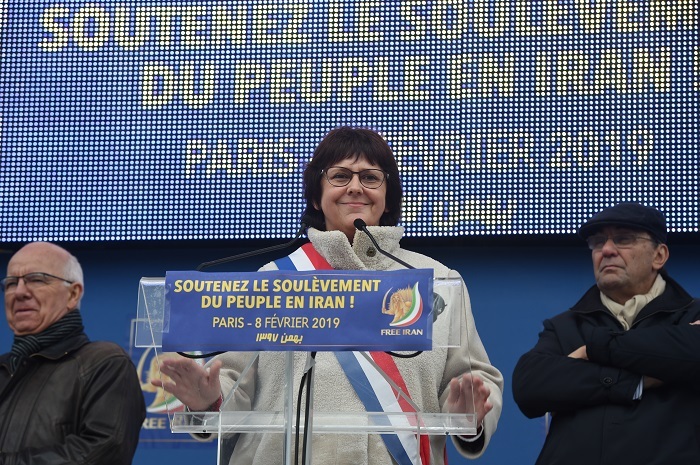 Dr. Vidal-Quadras was a co-organizer of the event and is president of the International Committee in Search of Justice (ISJ), an organization whose goal is to see that the perpetrators of the 1988 massacre are brought to justice and tried in international court. 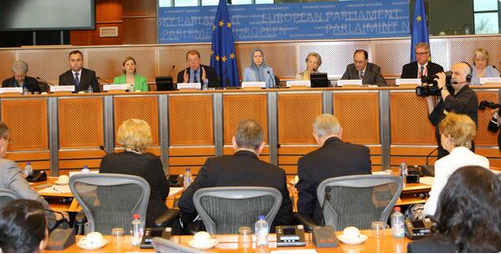 Vidal-Quadras spoke of the current human rights situation in Iran and the current number of executions. He rejected the idea that regime President Hassan Rouhani is a reformer, pointing out that more than 3,500 people have been executed in Iran since the start of Rouhani’s presidency. Vidal-Quadras described the regime as a “killing machine,” saying that the regime has “responded brutally to the nationwide protests and uprisings which began in late December and have continued in different cities.” He added that more people have died under torture once in custody. On Friday, September 14th, a group of human rights activists, politicians, and dignitaries held a conference at the United Nations Headquarters in Geneva. 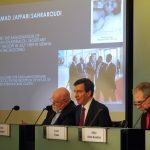 The conference was in commemoration of the 30th anniversary of the execution of 30,000 political prisoners in Iran, most of whom were MEK members, over the course of a single summer in 1988. 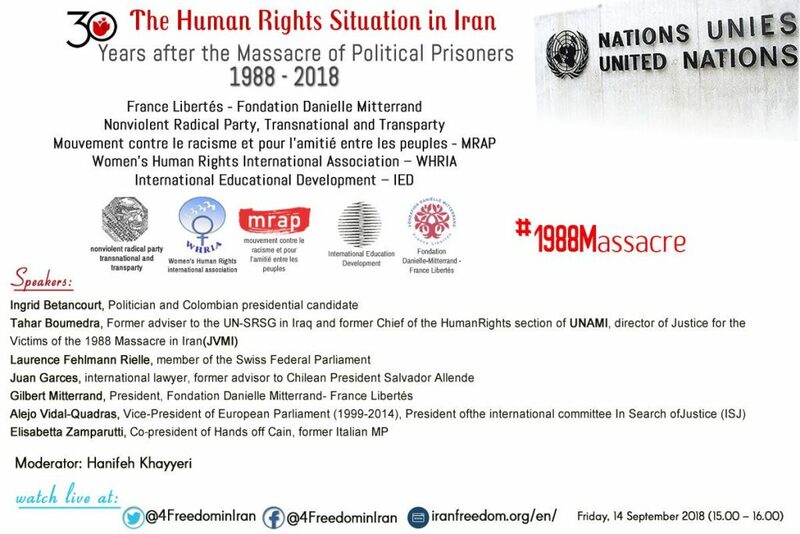 Conference participants sought to increase public awareness of the 1988 massacre and to persuade the United Nations Special Rapporteur on Human Rights in Iran and the United Nations High Commissioner for Human Rights to include a discussion of the massacre in the upcoming summit of the U.N. Human Rights Council. Ultimately, the conference’s goal is to see that the perpetrators of the massacre are brought to justice. To date, none of those responsible for the mass executions have been held accountable for their actions, and many of the perpetrators continue to hold positions of power within the Iranian regime. The 1988 massacre occurred as a result of a fatwa issued by then-Supreme Leader Ruhollah Khomeini, who ordered the executions of all political prisoners associated with the MEK who did not renounce the MEK. Prisoners were sentenced to death after 15-minute trials and executed in groups. At the end of the summer, 30,000 prisoners had been executed. The 1988 massacre has been described as one of the biggest crimes of humanity since World War II. There have been a number of calls for an independent investigation and international criminal prosecution of those responsible for the acts. She also spoke about the regime’s efforts to cover up its crime. “The regime is covering the mass graves and prohibiting the families from speaking about it,” Betancourt said. 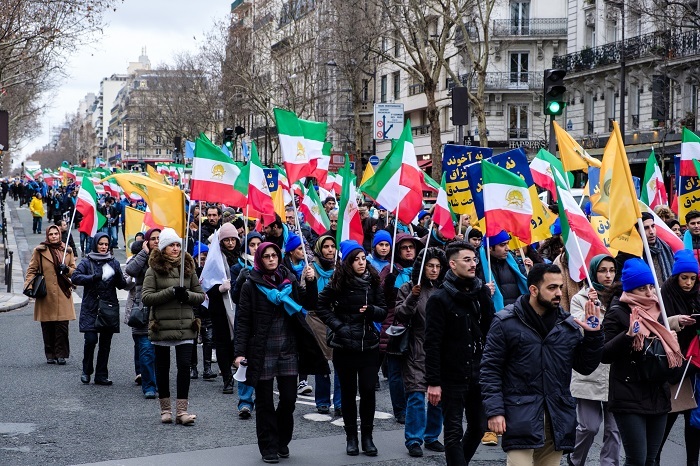 Betancourt stressed that the regime still poses a dire threat to the Iranian opposition, particularly the MEK, citing a foiled terror attack against an Iranian Resistance gathering in Paris in June of this year. “The only chance we have to confront terrorism today is to help democracy get back to Iran,” she concluded. Tahar Boumedra, distinguished jurist, former U.N. representative in Iraq, and the current head of Justice for the Victims of the 1988 (JVMI) emphasized the need for an independent investigation into the 1988 mass executions. Juan Garcés, Spanish lawyer and former advisor of Chilean President Salvador Allende, spoke about the religious element to the mullahs’ crime. “This massacre had a religious element because the victims were killed under the pretext of enmity with God. What can we do in this regard? 30 years have passed. These crimes that have a genocidal nature are usually committed by the state, and naturally, we can’t expect the state to serve justice… We must gather all possible evidence, including those of the victims and the perpetrators. One day, this can all be brought to the attention of an international court of law. Establishing a universal jurisdiction can pursue these cases,” Garcés emphasized. 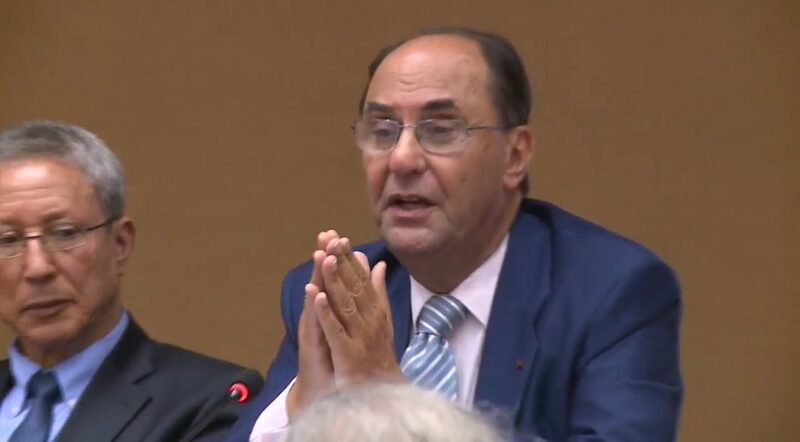 Gilbert Mitterrand, President of Danielle Mitterand Foundation and one of the organizers of the conference, urged the international community to put politics aside and prioritize human rights in decisions about the 1988 massacre. “How many more such sessions do we need to hold?… We would like to go further, not only the 1988 massacres but also the current situation in Iran, where human rights continue to be trampled. The international community shows that it has other priorities above human rights,” he said. Vidal-Quadras described the lack of accountability for the massacre, saying, “Many of the perpetrators who have admitted to their role in this crime, have not been brought to justice.” Instead, the criminals have been given ministerial positions within the regime, he said. Vidal-Quadras said that the violation of human rights is still a problem under the current regime. “During the presidency of Hassan Rouhani,” he said, “more than 3,500 people have been executed. His predecessor was not ‘moderate’ but he killed fewer people. The concept of moderation in the Iranian regime is quite original.”. 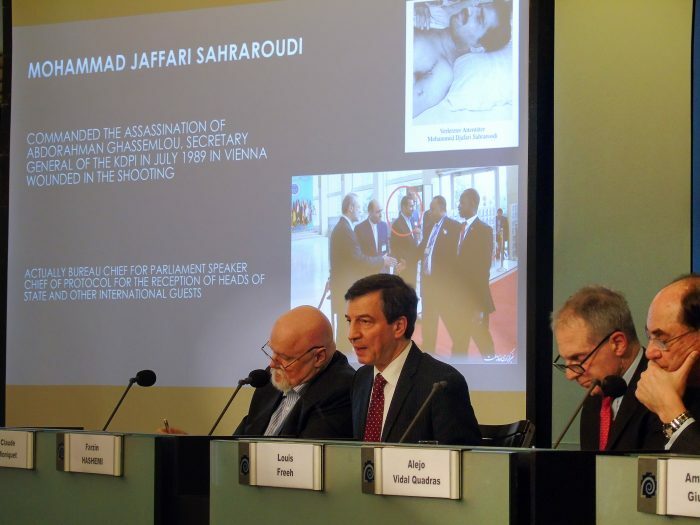 Finally, Sanobargh Zahedi, attorney, and Chair of the Iranian opposition National Council of Resistance of Iran’s (NCRI) Justice Commission reiterated the call for an independent investigation, describing the regime’s past and current crimes against humanity and the need for accountability.